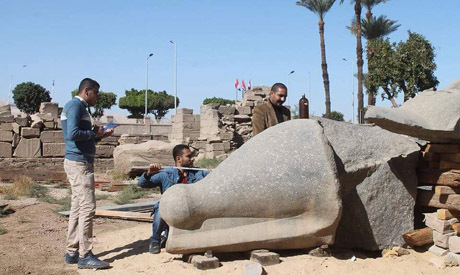 Egypt's Ministry of Antiquities is conducting comprehensive restoration work on a colossus statue of king Ramsess II that once decorated the façade of the first pylon of the Karnak Temple Complex. 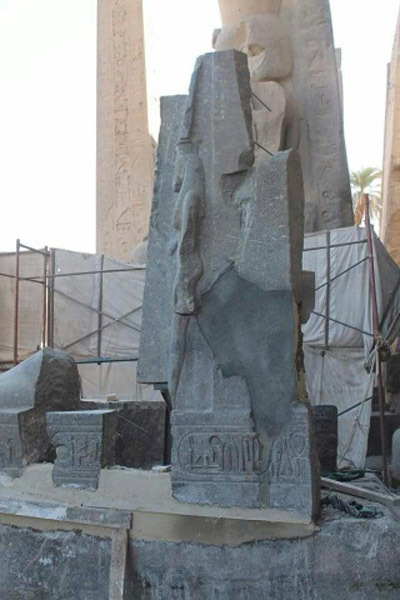 Mostafa Waziri, head of the ministry’s Luxor antiquities department, told Ahram Online that reconstruction of the statue began one month ago, and is expected to be completed within two months. The statue would then be erected in its original position, he said. The colossus of Egypt's most celebrated pharaoh stood in front of Karnak's first pylon along with five others. Four of these colossi depict the king standing and the two others sitting. During the fourth century AD, Waziri said, the colossi were subjected to damages by a destructive earthquake. Their blocks were selected and placed in wooden shelters on the first pylon's western side. In 2016, the ministry decided to restore and reconstruct one of these statues. 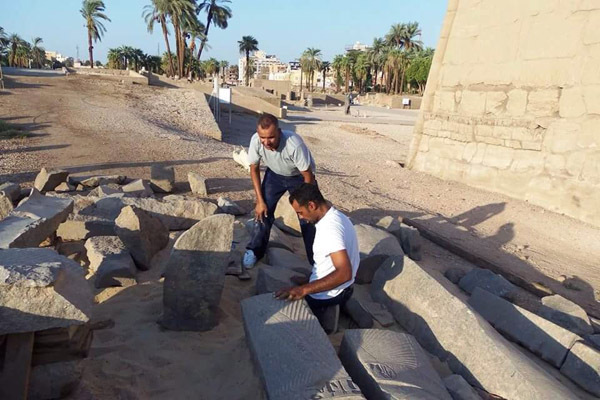 Luxor governorate has supported the project by providing the materials needed for restoration. The statue is carved in gray granite, weighs 65 tons and stands 10.8 metres tall.